The new and revolutionized iPhone 5 design is a great reason why to build up new cases and covers for it. 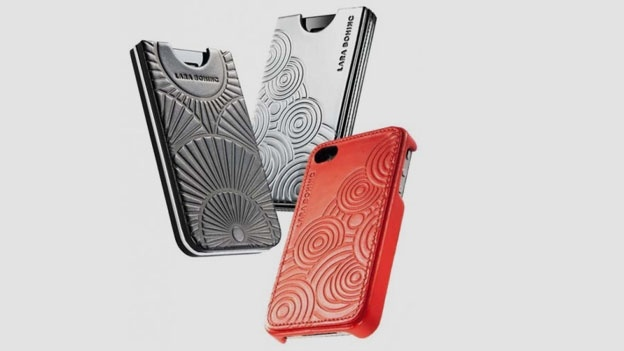 It turns out to be more a simple fashion trend to have an interesting case as it will protect the iPhone from any other inconveniences and from all the problems that are caused by accidental falls and drops. The new covers and cases have to match up with the longer iPhone. The display of the new gadget is 4 inches in diameter so the solution found by Apple was to make the iPhone longer. In that way, the possibility of manipulating it with one hand remains valid and the people are given the same versatility when using the iPhone. The designers and producers of cases want the user to experience a total show off of personality with custom made choices and with good looking models. 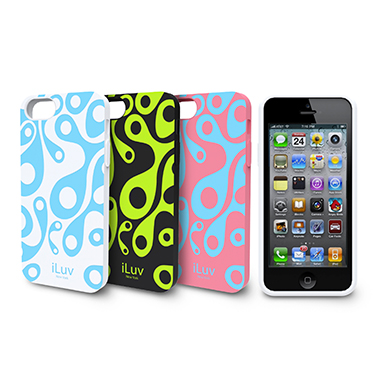 Some of the iPhone 5 covers are rather cheap and can be bought by anyone, while others tend to have huge prices. All matters when it comes with a cover, from the materials it is made in the most intriguing patterns and personalization features. As the iPhone is probably one of the most used things daily, it is essential to keep it safe and sound. In that way, there will be no frustration when accidents happen and unfortunately they will at some point in the future. Here are the best iPhone 5 cases and covers that anyone can personalize their iPhone 5 with. Maintaining the slender look on an iPhone 5 can be rather difficult as most cases tend to be rather sturdy. This is due mainly to the fact that it needs to withstand the aggression of keys and coins that could be found in a pocket or a purse. 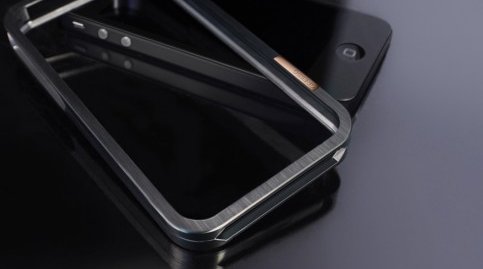 With Dicota, things get a new perspective as only 0.88 millimeters are added by it to the thickness of the phone. In that way, the iPhone is totally protected, but it will not get bulky or look thick. There are four varieties of cases from which to pick. It does not matter if the blue, white, transparent or black is chosen, because it will give the same resistance. What can be more exciting than to be able to take the iPhone to that daily running session. With interesting and useful apps developed by Endomondo and Nike +, anyone has the chance to keep fit while enjoying the latest technologies. But it can be a little bit uncomfortable to keep the iPhone in the hand or in the pocket. There is the danger that it will fall and break. 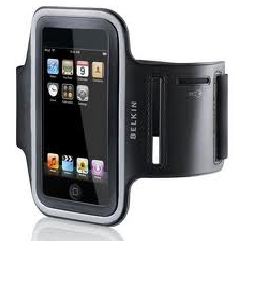 The best choice to keep the iPhone is range is with the ProFit Armband from Belkin. It accommodates the larger screen with ease in order to prevent fiddling. There is small pocket attached to the armband that can be used to keep the house key or some money if there is the necessity to buy a bottle of water. The price of it is $30 and it can be purchased from the Belkin online store. Some people prefer the elegance that a leather case will offer to an iPhone. 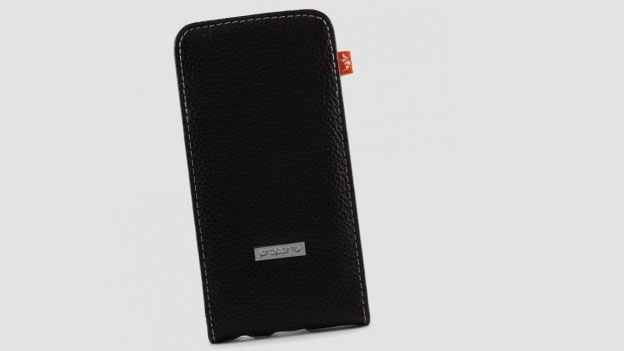 Made out of quality leather, the Proporta case has a touch of old fashion with the flipping part. It might have a feel of oldies, but goldies and it could be ideal for a businessman. The best part is that it gives the owner a serious and professional look and anyone will know that the person having such a case must be important. Besides the leather, the aluminum construction will absorb any shocks caused by accidental drops. The lining is creamy and soft with a black pinstripe. This case comes together with a screen protection and can be bought for about £30. For the ones that think their special iPhone 5 deserves all the best in the world the Calypso Case is the right, but a rather expensive choice. With a cost of 150 Euros this special case is designed with the help of Lara Bohnic. It has a characteristic style of handcraft made of leather with a silver finishing. The whole glossy look will put the case in the category of totally fashioned items. It comes in three varieties of colors and the buyers can choose between black, silver and red. 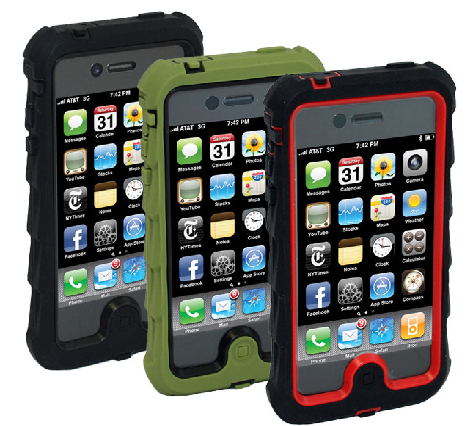 The Gumdrop case has a nice and rugged look and guaranteed total protection for the phone. It is made from a special material which is designed to absorb potential shocks and to offer great protection for the phone. The gum-like case will protect the phone from the bottom up and will make sure that nothing can enter into any port. The screen has a protection which is already integrated and in the corners the case offers nice elastic rubber edges. The nice touch about this case is the tire patterns from the back together with the signature of Gumdrop. The colors in which the the case is available are red, green and black and it costs around $45. The case gives a total feeling of gummy bear looks and it is good for the ones who love outdoor activities. 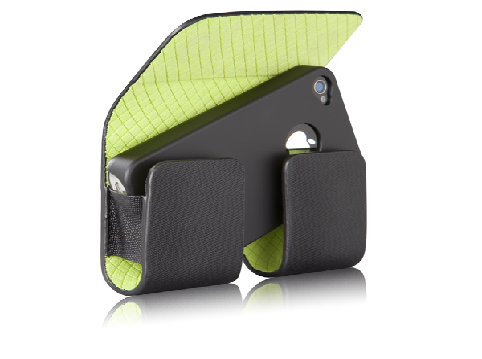 The Barely There Hipster iPhone 5 cases is a reliable holster which will keep the phone totally protected. It is great for the ones who still prefer the holster, but it could be rather difficult to grab and take out when the time is pressuring. This is why it comes also equipped with a case which will give it some sort of protection. It comes in a variety of colors and it costs about $30. The holster is pretty safe, but the rest of the case is rather exposed. Taking the phone out of the holster is rather difficult at first, but after some exercise the gesture becomes somehow automatic. 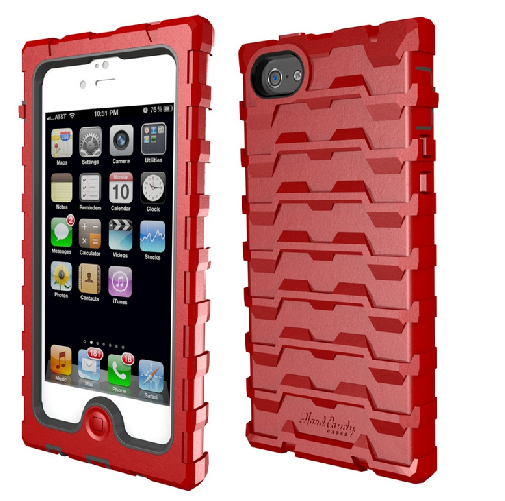 For the ones who love a full protection for their iPhone there is no better case than the Idox Traveler. It encloses totally the phone and it offers a great coverage. 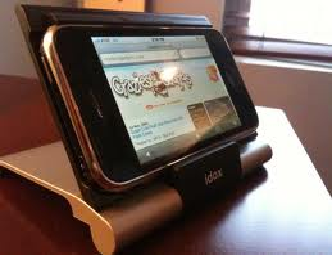 When it is opened it can become a stand where the iPhone can be placed. The case is made of hard plastic and it is quite solid. The downside of this product is that it can be quite challenging to open at first. Closing is done with great security, but the worse part is that the opening will require some hard work in the beginning until the user figures out the best way to approach this situation. It costs about $35 and it has a pink, silver and black color range. There cannot be anything cooler than having an iPhone 5 case which glows in the dark. There are places like clubs or dark rooms at night where finding the iPhone can prove to be quite a challenge. So there is the need to improvise and get something better out of it. With an interesting pattern, the phone will succeed to amaze everyone. The effect of glowing in the dark will make the phone look really funky and people will appreciate a nice touch of freshness. This case costs only $20 and it suitable for young people who love to live life to the full. Therefore probably the main target of the amazing look is the ones younger than 30 or so. For the ones that are totally obsessed with protecting their iPhone 5 with cool covers, bumpers and skins. there is no better choice than the Hard Candy case. With having quite a bulky finish, this case might make an iPhone look like a slim brick, but at least it is top resistant. 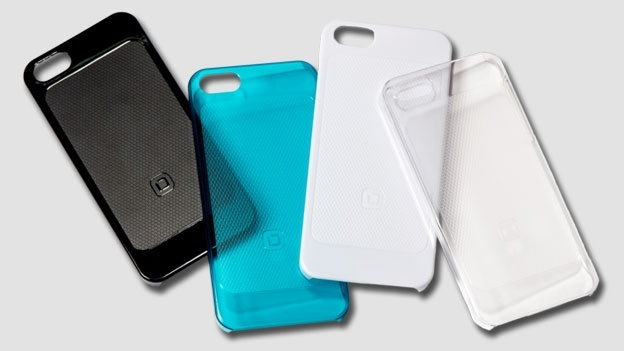 The case is made of silicone and it has 10 millimeters. All the sides are protected and the shock absorption rate is great. The back of the case has almost four millimeters of protection so any drop is no need of getting too worried. It costs about $40, but every penny is worth it as long as the phone is intact after any impact. This is good for the ones who are notoriously clumsy.